As the years go by Easter seems an increasingly big deal on the calendar. As Christmas, by comparison seems less and less of a big deal Easter begins to tick all the right boxes. If you are a Christian this time of year is apparently a big deal with the son of God having risen, if you are of a more humanist persuasion there’s stirrings in the natural world and the days are getting longer, if you are plain lazy there are two days off work and for the totally shallow there’s the prospect of chocolate. And yet this time of year remains uncelebrated in popular song, Slade never wrote an Easter song. A very tentative example came to me unexpectedly by way of a Spotify playlist. Many months ago I wrote about new music and how it does not actually have to be new music but is just music that you haven’t heard before. Bridget St John was a familiar name to me, like a lot of hard grafting musicians without access to Twitter she would play everywhere. The fact that she could get by with just an acoustic guitar meant she could be slotted in front of the drum kit as support for anyband looking for those services. In fact in 1976 she was playing just a couple of miles from where I live now with John Martyn, Kevin Coyne and Brindaband (who!). However, for me, this was ‘new music’. Bridget kept some heavy musical company but she remains almost unknown. She had some interesting songs, she sang in a low register making her sound not unlike Chelsea Girls era Nico, she played guitar pretty well and by all accounts was/is a jolly nice person. 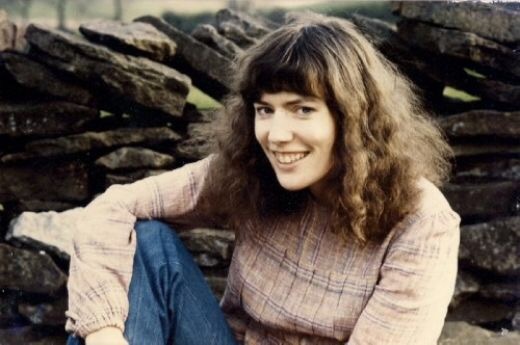 It would be convenient to think she is not as well known as Nick Drake or John Martyn because she’s a woman but we weren’t total monsters in the 70’s, Bridget was a far more robust character than Nick Drake ever was and audiences would have listened and appreciated her songs. In fact she appears on records by Mike Oldfield and Kevin Ayres, she was liked and respected. The real problem was that she was not on Island Records or even Chrysalis; Bridget St John was an early signing to John Peels Dandelion label. Named after a hamster he had been given by Marc Bolan (really !) Dandelion was set up to record people who Peel liked, all well and good and ultra hip. The caveat was however that Peel could not be seen to promote his artists on his own shows, and quite frankly he was the only one who was likely to actually play them on air. And so Bridget St John was starved of what little publicity was available to her. Anyway she was probably saved from a terrible life of touring and recording and making crap records which the record company insisted on in the hope of success. She just made some records and then stopped. In fact St John really was very comparable with Nick Drake apart from the obvious facts that she is still alive (now 71) and yet to be rediscovered. And so my Easter song. ‘Ask me no Questions’ was the title track of her debut album, recorded and produced by Peel, the product of under 10 hours nocturnal work after Peels radio show had ended. I know I’ve painted the 70’s as a tough time for women but ‘Ask me No Questions’ harks back to a supposedly gentler time, celebrating the consummation of a relationship and the aftermath of the morning after. ‘Ask me no Questions’ is a pure early 70’s experience straight from the heart. A modern producer would auto tune some of the rough edges off St John’s voice and brighten up the muddy guitars. They would make a big feature of the fact that John Martyn himself is contributing some guitar on the track, whatever it couldn’t be as good as this. And a new day has begun . This entry was posted in folk music, memories of 70s, rock music and tagged bridget st john, dandelion label, John peel. Bookmark the permalink. Really grateful to be reminded of BSJ. Regards Thom. Thanks Thom, more to do with Spotify than me, I had forgotten about her too. A Nick Drake style revival awaits.